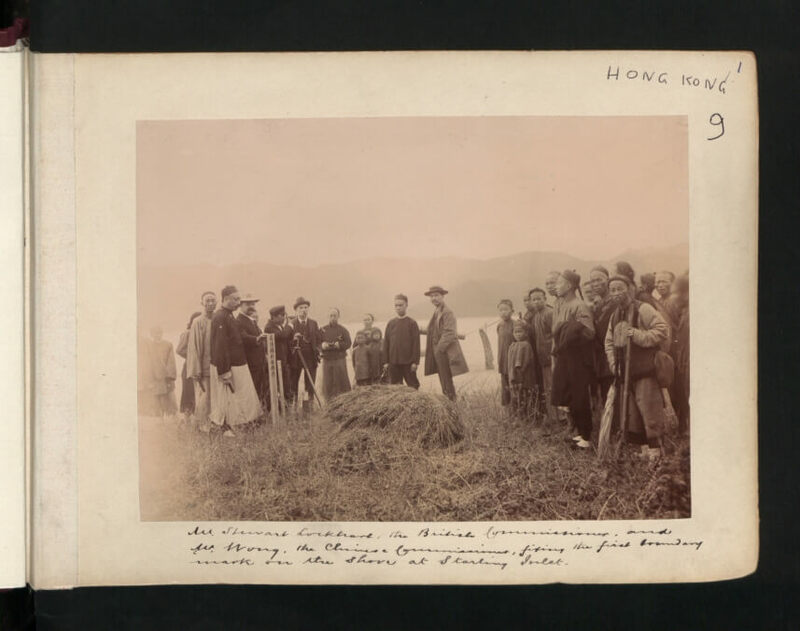 HF: J H Stewart Lockhart was Colonial Secretary in Hong Kong from 1895-1902. He wrote a report to the Colonial Office in London, reporting on “The New Territory” . This followed “The Convention between Great Britain and China respecting an Extension of the Colony of Hong Kong.” The report was published on the 8th Oct 1898. The report has an intriguing mention of experiments being conducted in the newly leased New Territories into the possibility of cotton being grown there. Can anyone supply further information about whether these experiments took place, what were the results, and did the growing of cotton in the NT ever become a commercial reality? The cotton mill, mentioned in the Report was presumably The Hongkong Cotton-Spinning, Weaving and Dyeing Company Ltd which operated from 1898 to 1914 in Causeway Bay. James Chan’s Indhhk article, Cotton Padded Quilt masters and Shops, New Territories, doesn’t mention the source of the cotton. Thanks to Paul Onslow for sending this photograph of “Mr Stewart Lockhart, the British Commissioner, and Mr Wong, the Chinese Commissioner, fixing the first boundary mark on the shore at Starling Inlet”. Undated, though probably August 1898. The image is from the UK National Archives collection of the Hong Kong colonial office 1869-1910. There is no restriction / copyright issue. This Q+A was first posted on 13th June 2017.